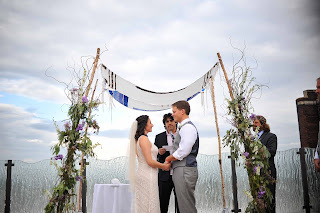 Emily and Brent shared their vows on the deck at The Caramel Room. 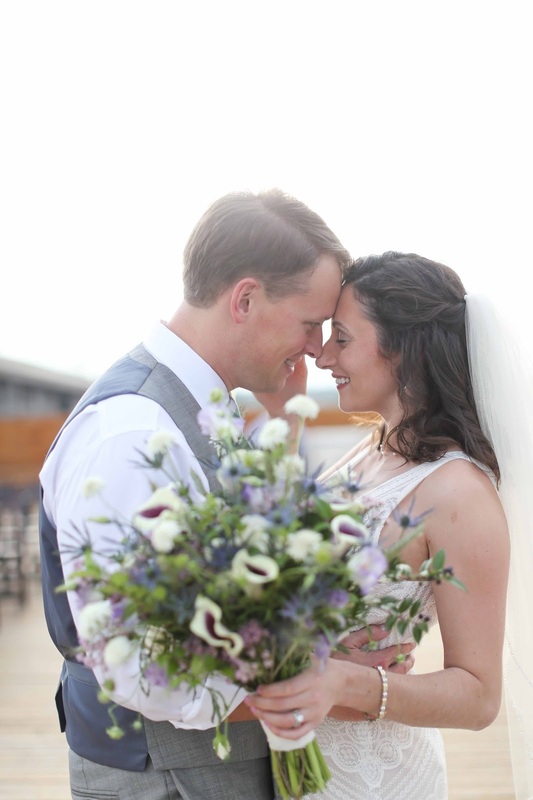 The November blue sky was a gorgeous background for their wedding. 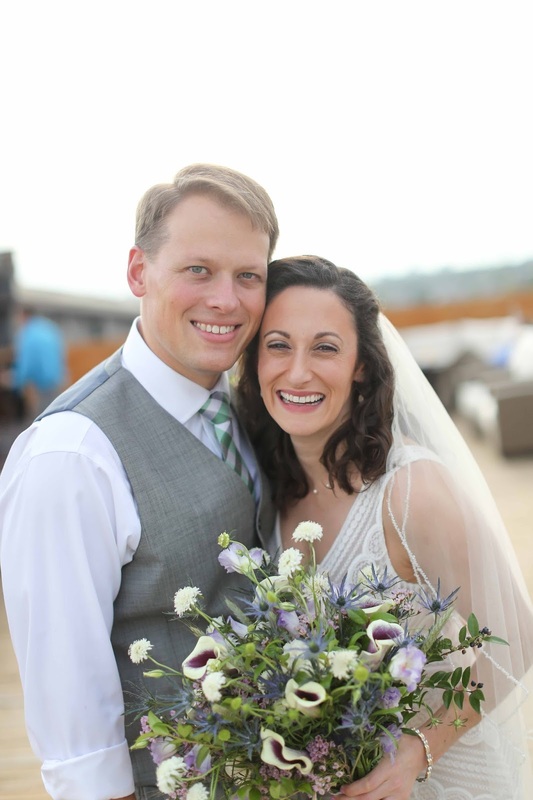 They had a casual wedding style that fit both of their fun-loving personalities. 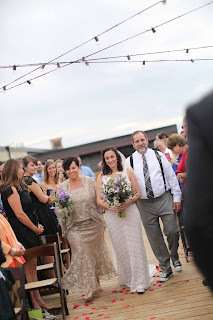 Images by Kelly Manno Photography. Emily’s bouquet was a loose mix with a wildflower feel. 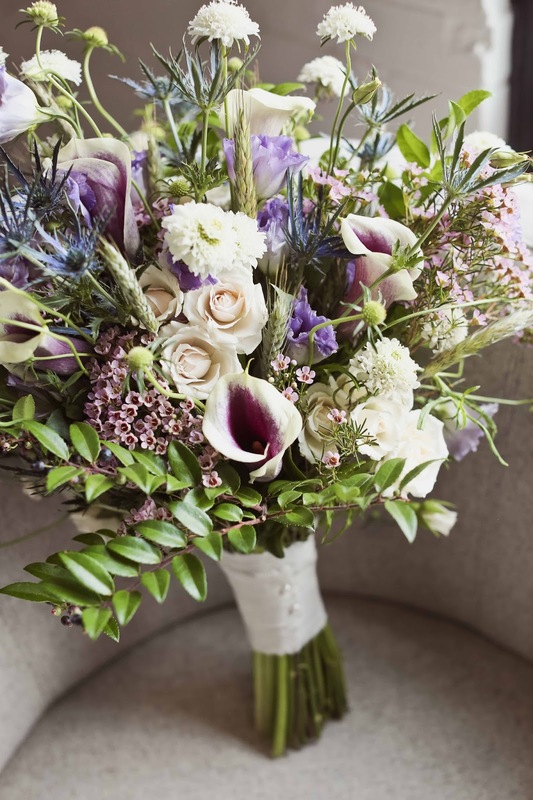 It included Picasso calla lilies, blue thistle, scabiosa, spray roses, lisianthus, and lots of fine-leafed greenery. 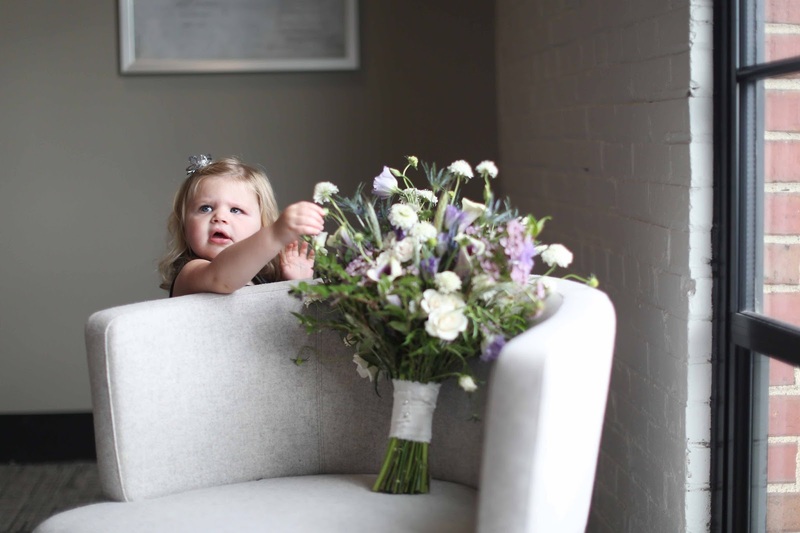 This little sweetheart liked Emily’s bouquet, too! 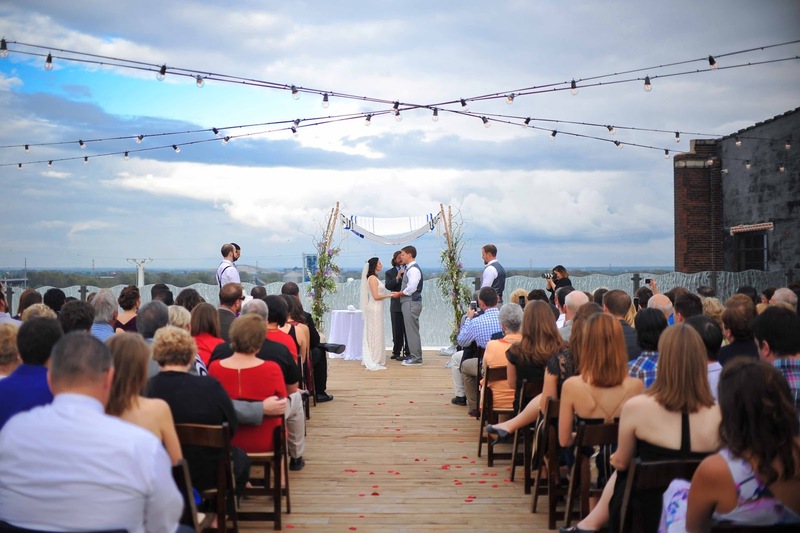 Everyone was so pleased that the weather cooperated for the outdoor ceremony! The large deck at Bissinger’s was perfect for this couple. Best wishes to Emily and Brent! It was a pleasure to be a part of your day!